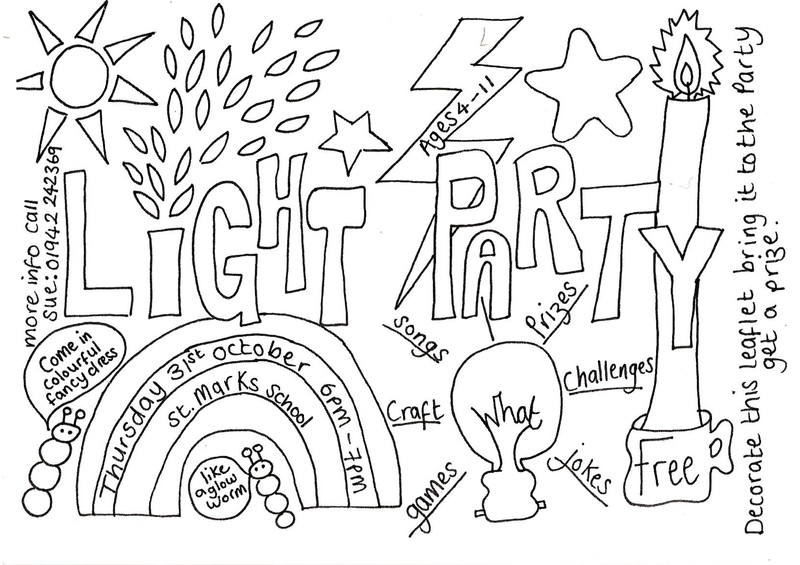 Light Party 2013 – songs, prizes, games, jokes, challenges, crafts to celebrate God’s goodness and light for ages 4-11. 31st October in St. Mark’s School from 6pm-7pm. Come in colourful fancy dress. Print out the flyer above, colour it in, and bring it with you to get a prize!